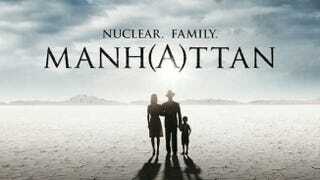 Lots of folks fell in love with Manhattan, or at least enough to give WGN America the impetus to renew this series for a second season. Set in Los Alamos, New Mexico, Manhattan centers around the scientists behind the atomic bomb and the families they brought with them. And now it's been renewed for a second season. Congrats.